This morning an article jumped out at me on my Facebook feed and I found myself agreeing so strongly as I read it that I wanted to share it here, and write a bit about why exactly I'm sharing it. Not that long ago I was sitting at a table with one of Maggie's social workers (Yes. She has more than one. There are actually three that I talk to on a semi- regular basis, because two doctors' offices we go to have their own social workers, and then she has one assigned to her by the state too). She asked me if I'd considered getting handicapped tags for our car, and said that she really thought I should talk to Mae's doctor about it and get the paper work for the DMV, because crossing a parking lot by myself with the kids is perilous with Mae's tendency towards "wandering." Sometimes I don't think "wandering" does justice to exactly what it is that we're talking about when I use that word. 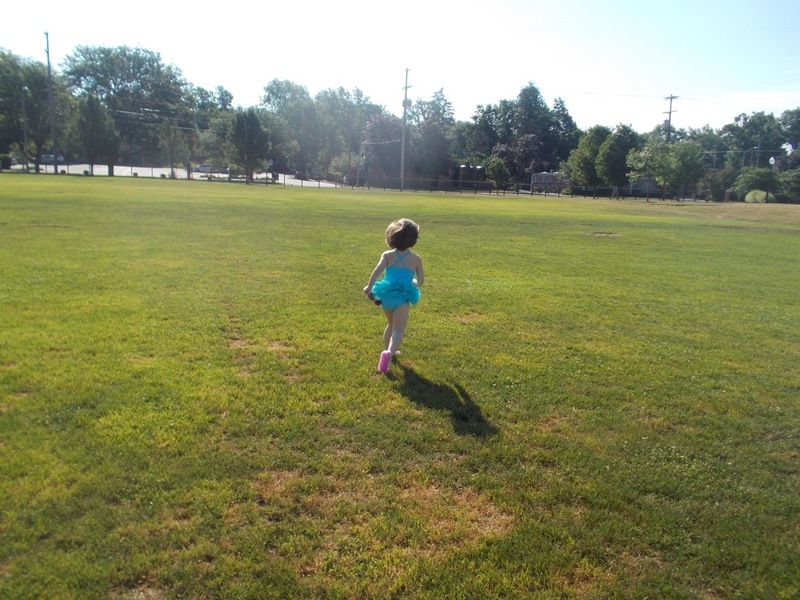 It's a tendency to take off at a sprint at the slightest opening and run and run and run as fast as her little legs will carry her without looking over her shoulder to see if I'm following, or around her to see if a car is backing up. It hasn't happened since December. I don't let go of her when we're outside unless we're in an entirely fenced in space. The last time it happened we were walking across a Christmas tree field in the pitch black. Paul had a flashlight. We were on our way home from Sadie's troop's hayride and campfire and Maggie kept kicking off her shoe and then when she'd stop to put it back on I'd let go of her hand and she'd take the opening to run off into the darkness. The time before that was this summer in a church parking lot. I hurt myself so badly catching her that I could hardly walk for the rest of my pregnancy with James and had to be seen by ortheopedic specialist weekly. But I caught her. At least I caught her. As I said, it's terrifying. Realizing that she'd run and run and run in a strange place she'd never been to before, on a dark, icy night, was and is incredibly frightening to think about. Realizing she'd sprint into a parking lot... even more so. And so parking lots are treacherous. I don't go to the store by myself with the kids if I can avoid it. I plot expeditions with them like I'm preparing to go on a cross country trip. I go over getting out of the car and into a building fifty times in my head if I know I'm going to have to do it later in the day. And I tell myself that I shouldn't be as afraid as I am, because, as people tell me, usually quoting a Bible verse, "We're not supposed to be anxious" but the very real image of my little girl being hit by a car, or running faster than I can catch her and falling into a stream, and being so confused and frightened and in pain, is without a doubt my greatest fear. Just typing those words has tears running down my cheeks. But I haven't asked for the paper work from her doctor yet. The reason probably sounds silly. Ready? Here goes. I'm just not sure if I'm ready for that level of hostility in parking lots too. I've gotten looks and had people shake their head at me when we dare leave the narthex to come forward for communion during Mass, on days when her vocalizations are a little more exuberant because she's so excited that she's there to see Jesus (to be fair, most people are very kind... but it happens... and it hurts...). Having people turn or stare in the grocery store pretty much rolls off my back at this point. The things people have said in the waiting room at our old doctor's office were pretty horrible and played a large roll in switching doctors the moment our insurance changed. And I'm just not sure if I can take people coming up and lecturing me in parking lots because no one in our group "looks disabled" enough to be taking that spot. We can all walk. Our limbs are healthy. Why do you need to park closer to the store? I even thought of certain articles and posts I've read in the past accusing people without wheel chairs of not really needing those spots. And I swallowed hard, because I absolutely wouldn't want to take a spot that someone else needs but at the same time I do kind of, sort of, feel like we need one too. The danger is very, very real to me. My daughter could dart in front of a car and die. Is that a good enough reason? I'm sure I'll build up the courage soon. 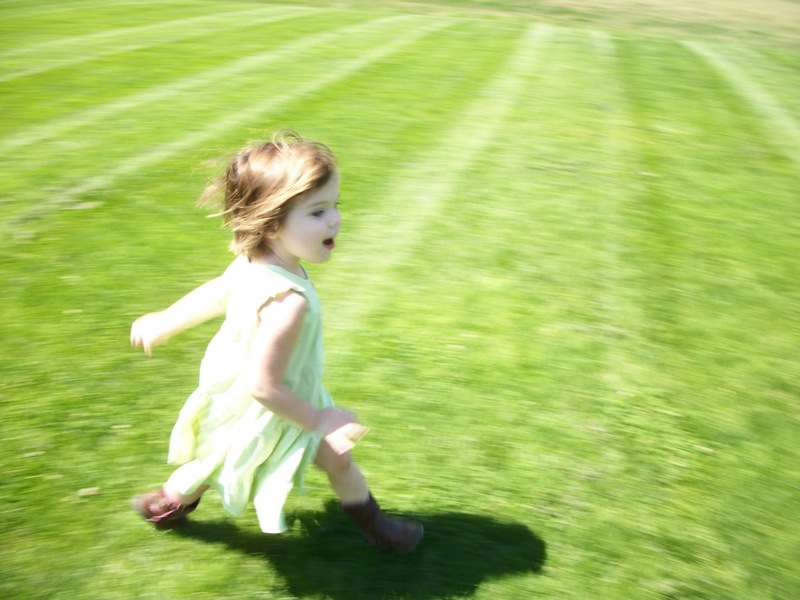 Spring is coming and with it Mae's love of wide open spaces is sure to expand. I have to call the social worker from the new doctor's office this week anyway, to go over the "care plan" they sent me in the mail last week, so maybe I'll bring it up then. And so I end with a plea. Please. When you see someone getting out of their car with a handicapped placard and they look able bodied, please don't immediately make a negative assumption. Please don't write a nasty note or go over to lecture them. Don't even give them a dirty look. You can't really know what they're battling and why a doctor somewhere decided they needed that tag on their car. Let's give each other the benefit of the doubt and be a little kinder and more compassionate about both the visible and invisible battles that we're all fighting and the challenges that we each face. The challenges aren't always obvious but often times they're still there. Thank you for writing this, Cam. My grandmother had a handicapped placard, because she was legally blind. She outwardly appeared completely healthy, and she didn't need to use a cane, so many people thought we didn't need the placard for her. It is hurtful and rude when people rush to judgment and then say things which are out of line. They should all be reminded that appearances may be deceiving and that in so many cases those placards are well-deserved. Get the sticker; and don't worry about others; you know you deserve it. When dh was in his worst allergy phase (ie almost asthmatic in summer) I wanted him to apply for a sticker but he wouldn't. But he really did need to avoid the outdoors in the high pollen/high mold days. Thankfully; diet and other stuff have improved this. Praying that eventually Maggie matures enough to outgrow this desire to bolt. Have behaviour specialists offered any suggestions for diverting her when she looks likely to do this? Cammie, this is an excellent post. Thank you for writing it! Uuuuuuuugh - I totally hear you on this. It's so frustrating to feel the judgement of others who have absolutely no idea what it is their actually seeing. I hope you find the courage to speak to the doctor. It would end up saving you so much agita and nerves which will only be good for the kids in the long run. Plus, you'll feel better knowing that, despite a few jerks who might look sideways at you, Mae and the rest of the kids are all much safer. xo Do it. The worst thing would be to know you should have, after the fact, and didn't. No amount of embarrassment is worth that. Oh, my! Cammie! First of all, the scripture regarding anxiousness does not apply to mothers ;). Seriously though, don't you think Mother Mary was extremely anxious when she and Joseph could not find Jesus? Thank you for this, though. While I'm not the type to approach others and lecture them as I see fit, I know I am very guilty of judging from a distance. Your posts are a constant reminder we do not know other people's stories and how wrong it is for us to assume we do and we know what's best. I hope you are able to get approved for the parking permit, and I pray you never receive a harsh look or lecture for taking advantage of something that would be such a huge help to you in protecting Maggie. If I were in your shoes I would apply. Thankfully HB doesn't bolt. I tell him to stay by the car. Basically keep his hands on it because he's apt to get lost in his own thoughts and not stay alert for cars. He knows that they can hurt him so he won't run into one, but our school lot is a busy one. A lot of people need the placards and it isn't always obvious why. My husband's aunt is an amputee and she wears pants over her fake leg. I wouldn't worry about the social stigma. People can get over themselves with their judgements. There's a process for getting the placard; they don't just give them out for no reason. I fully support anyone with a sticker. It's the people in handicap spots without anything that drive me bonkers. There has been such abuse of these placards, including use of them to avoid paying parking fees by able bodied people using a disabled relative's placard, you can see why people get mad when someone who appears able bodied uses them. Where I live they have tightened up the rules about use and abuse: the disabled person must be present and getting in and out of the car for use of the space to be legal, all parking meter fees still must be paid, renewal is more often, and fines for abuse are much steeper. Some people were using placards of elderly parents who were deceased! I think you will get exactly what you expect; the angry looks and shaking of heads if you are in a space and unloading or loading four (or more!) kids. But here's the thing: you don't have to justify yourself to others. All you have to know is that you are being honest. You don't have to use the spaces in situations you feel are not dangerous, or when Mae is not with you. In cases where it is dangerous, you still need to have precautions in place to control her, in spite of being closer to the building where you're headed. Maybe those precautions will be enough for people to see you have a disabled person with you. Maybe not. As she gets bigger, maybe she'll get more self control and not run and you won't need it. My advice is to get the placard and use it. And say a prayer for anyone who gives an angry look or shakes their head when they see you using it. Doing that will change YOUR mind and heart about THEM. When I have said a prayer instead of reacting to some kind of judgement or disapproval from a stranger, just a short "O Lord, please bless them." I find the anger or resentment IN ME goes away. It's like putting balm on a burn. God bless and hang in there. 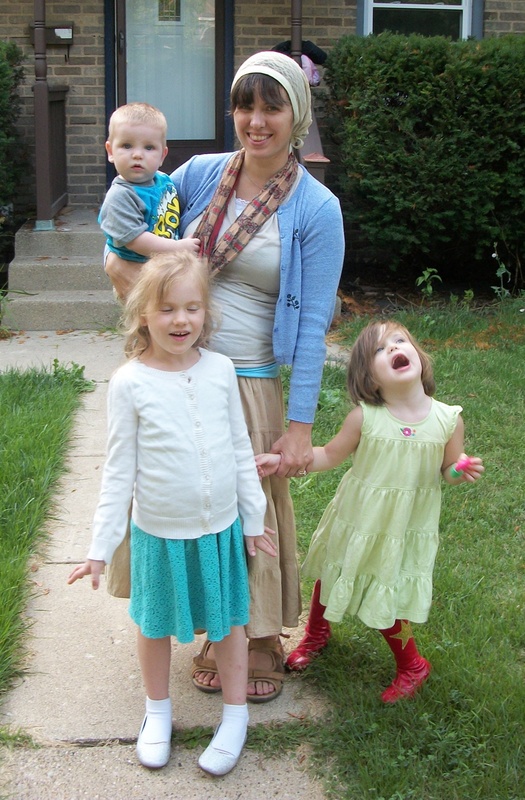 The challenges of being a mom are many, and being the mom of a special kid like Mae are even more. You need God's graces to move through this time of your life. You should go ahead with the paperwork. Once you have it, if you don't feel like you need it, don't use it. But the one day you HAVE to run an errand with Miss Maggie and she is raring to to and the only two spots are one waaaay across the parking lot and one handicap spot you will regret not having it. Fwiw, I know exactly what it feels like to have a hidden disability. I have a foot that drags on the ground and usually (I think) I look pretty normal walking in and out of the grocery store, but one stretch of uneven pavement I don't notice and BAM I'm on the ground. So the shorter my walks can be, the better (especially in inclement weather). Not one person has ever said a word to me about taking the spot. Maybe they think it, but I've never had to actually deal with a confrontation. Bottom line? This could help prevent a life or death situation for Maggie. There's no question at all; you must do whatever is needed to keep her safe. People have no idea what difficulties others may have, and we all have our hands full with minding our own business. Don't wait another minute - get the placard. I just can never believe that people feel the need to insert their opinions or unsolicited advice when a mamma is actively struggling to keep herself and her brood together in public. Shame on them. Thanks for sharing this - what an incredibly hard thing to deal with on a daily basis. I hope you start coming across more gracious people, who help you instead of shaking their heads. DO IT ASAP. Kick pride to the corner and do the paperwork. Do it now, today, or as soon as the you can call the doctor about it. Those who live to be sick nasty people do not care what reality is and they will be as hurtful as they can manage whether you get a tag or not. If it makes your hard work for your daughter even a tiny bit easier, you should have it. Handicapped exists so those who haven't got it as perfectly good as the rest of us can catch a break. You need a break. It won't eliminate the stress of the vigilance you must keep, but that shortened trip from the van to the building will help ease the stress a tiny bit. Take it. I wish we who read your blog could all give you huge hugs when people are awful. God bless you!